A polymer material that can sustain damages due to its self healing capabilities has now been created by NASA-supported scientists. 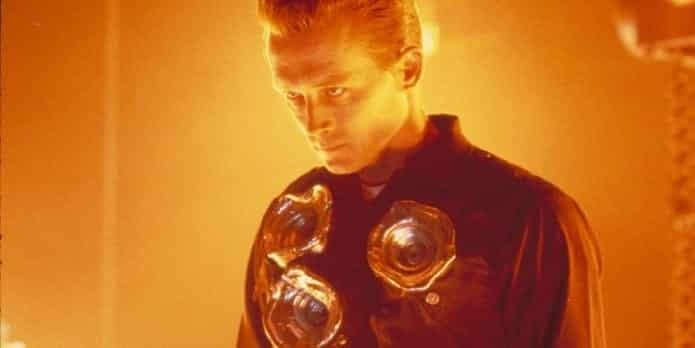 Lovers of movie Terminator: the Judgement Day, might very well recollect the impregnable T-1000 role played by Robert Patrick and the amazing effects which the magic poly-alloy produced on the silver screen. Well, it seems not only common people but even some scientists have actually loved the idea and got tremendous inspiration due to which some of the NASA-supported scientists have actually created a polymer material that can “heal” itself even after gun fire. The amazing polymer material comprises of two layers of solid polymer with a liquid material that is sandwiched in between these two layers. It is this liquid which helps in the “self healing” and recovery process. Whenever, there is any damage in the polymer, it will lead to breaching of the integrity of the solid layers and the liquid would come in direct contact with oxygen that is present in the surrounding atmosphere and solidify in less than a second. This solidification aids in building the gap and thus helps in the self healing of the material. The enclosed footage demonstrates the self recovery of the polymer after it was pierced with a bullet. It can be seen clearly that when the polymer is pierced with a bullet some liquid oozes out from the small hole and amazingly in less than a second the hole is sealed. This novel polymer can be used to protect the cars and smartphones to heal itself from potential damages. Spacecraft always run the risk of getting hit by some space junk, hence the creators of this amazing invention hope to use this ‘self healing’ polymer material as a protecting shield against such unexpected damages. Last year, IBM Research had presented a unique polymer that was light in weight, possessed self healing capability, was stronger than bone, 100% recyclable. The material could also be degraded by using chemicals. This polymer was entirely made up of liquid and it had the capability to restore its integrity even after being chopped to pieces. Usually the materials used in transportation and aerospace industries are exposed to various environmental factors which results in irreparable fracture cracks. Another problem here is that once cured these materials cannot be recycled which virtually leads to environmental pollution. On the contrary these newly discovered experimental polymers discovered by IBM Research are recyclable, lighter, stronger it could be very well used in transportation and aerospace industries thus helping to save a lot of money as well as decrease the overall environmental wastage and pollution. Below footage gives a brief explanation of the IBM Research Polymer discovery.